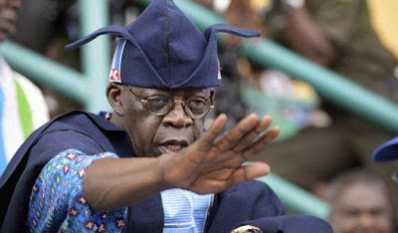 Asiwaju Ahmed Bola Tinubu, the national leader of All People Congress, APC, the ruling political party in Nigeria has promised that Nigeria’s citizens will by all means avoid any coup attempt by any section of Nigerian Military. Bola Tinubu voiced this out against the trending rumors of some political shareholders who are having secret meeting with some military officers in order to take presidential power from President Muhammadu Buhari since he has gone to London for medical check up and, they want to strikes the opportunity to take over the government. Earlier last week, the Nigeria’s Chief of Army, Lt. Gen. Tukur Burutai released a statement where he gave warning the Nigerian Army to steer clear politics. While the APC leader was reacting to the rumor, he said Lagos in particular will avoid any coup attempt. He continued that he has spoke at the parliamentary session at the Lagos State House of Assembly, Alausa, Ikeja, which was organized as the part of activities set up in commemoration of Lagos @50 and second anniversary of the 8th gathering of the Assembly. It’s hardly believed that some politicians can be trying to collaborate with Military officers in order to take over power through coup attempt. Although, there are lots of complaints and groans about President Muhammadu Buhari’s administration but, coup will never solve the problem of recession. Thanks to Asiwaju Ahmed Bola Tinubu for voicing out earlier before the secret plan of the allegedly “Coup attempt” got worsen. Let join him, let say no to Coup, No to Military rule in Nigeria. We have had enough of military rule in Nigeria, we are praying that these military who had ruled us best should relax.. Let join the campaign, this Is not for political reasons but for our future!